In the last five years, Africa has undergone a phenomenon that analysts refer to as the continent’s “digital revolution.” A recent wave of investor capital to the continent signals that this trend is unlikely to change course any time soon. The virtual revolution means sudden improvements to education, health and political spheres – prompting more leaders to embrace technological development as they would more “traditional” development projects. President of Microsoft International, Jean Philippe Courtois announced this week that the company will invest $75 million in Nigeria, South Africa, and Kenya, among other African countries. Just over a year ago, the company launched its 4Afrika program that provides local opportunities to aspiring African companies, entrepreneurs, and students. Microsoft reports that local partners earn $9 to $11 for every $1 that the initiative makes. It has, since launching, provided 2,550 students with tech certifications. IHS Holding, Africa’s largest telecommunications company, recently secured$490 million dollars in equity and debt, after procuring investments from GoldmanSachs Group Inc. and others. The company plans to build over 10,500 connectivity towers – a project that will change many communities. Intel Capital also recently announced it would begin a multi-million dollar investment in Africa-based startups. The construction of undersea fiber-optic cables, coupled with a full embrace of mobile technology, redefined Africa’s virtual landscape. In 2013, there were over 500 million mobile phone subscribers, an increase of over 100 percent since 2008. Internet availability by fiber optic cables has dramatically increased in recent years, but mobile cellphone networks still have greater reach. The possibilities for technological growth are lucrative. A McKinsey study found that the continent could gain $300 billion by 2025 if it embraces the Internet as it did mobile phones. The payoffs, however, are deeper than the pockets of foreign tech companies. 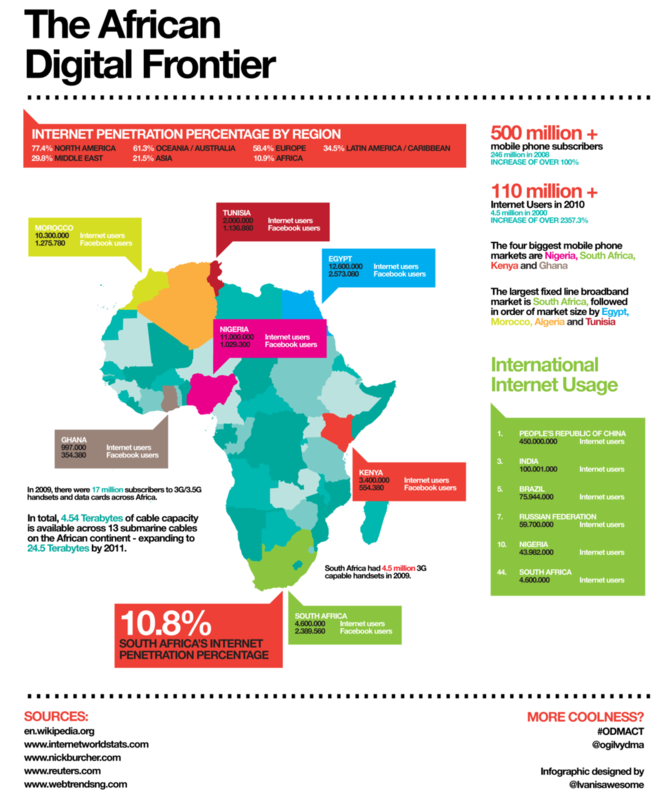 For African businesses, entrepreneurs, and aspiring students – access to the internet and mobile connectivity could mean a new lifestyle. The same report states that the internet is likely to largely improve six sectors: financial services, education, health, retail, agriculture, and government. Perhaps, most importantly, are the social impacts of connectivity. Health workers in sub-Saharan Africa are using cellphones to collect and analyze data, talk with patients, consult with other professionals, and access resources with greater alacrity. Cell phones are helping teachers improve the learning experience of their students – increasing remote learning. For example, Nigeriea launched an SMS educational campaign aimed at providing primary school teachers with regular updates on educational content. 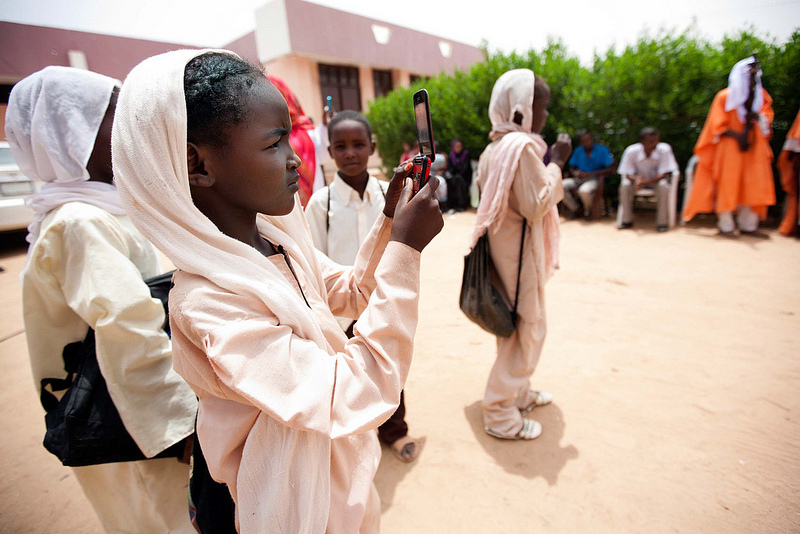 Citizens now have access to crucial information, including weather and security warnings, election information, and health notices via mobile phones. At this Rwandan school, students use laptops in the classroom. “Small-scale technology can make all the difference to [poor women] lives. It may also give them the time and space to demand their political rights,” said Henrietta Miers, senior associate of WISE Development. But the change has not come without challenges. In a 2013 TED talk, Nairobi-based tech entrepreneur Juliana Rotich described the everyday challenges millions of citizens face in accessing the internet. Electric blackouts are the norm. In other words, without warning, business and communication can shut down—and for indefinite periods of time. Stated otherwise, an unreliable power grid compromises internet access. In trying to solve this core issue, investors should look to support more reliable electrical systems. While the private sector plays a major role in Africa’s telecommunications sector, many Africans see the government primarily responsible for telecommunications and technological growth. There is a level of trust from the education sector in the government. A survey of 413 teachers based in Africa who use online resources in their classrooms revealed that respondents were over three times more likely to identify the role of national government (29%) in accelerating the integration of learning technologies than to identify the role of the private sector (8%). The global community is just beginning to see the power of telecommunications in improving everyday lives. In fact, the UN recently labeled it a post-2015 Millennial Development Goal. World leaders and foreign investors should therefore embrace telecommunications—a key factor in driving economic and infrastructural progress. Tags: africa, communications, innovation, international development, Microsoft, tech, technology, World Policy Journal. Bookmark the permalink.